You will only be overwhelmed if you allow yourself to be overwhelmed. 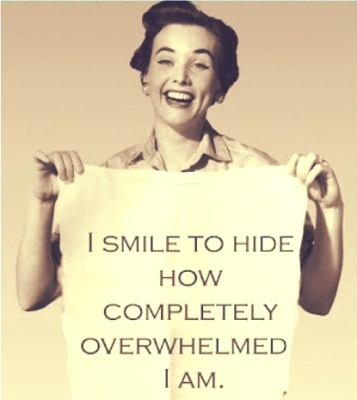 Unfortunately, I allow myself to be overwhelmed way too often. And these are just the biggies, not to mention… cook, clean (which often are left undone) and maintain some of my work schedule. Let me be clear, I am not complaining. Most of those things are things I really love to do and would do all over again. Some of them were unplanned or snuck up on me and threw me off my game. But that is life, right? I’m sure if you listed out everything you’ve done in the past two months your list would be just as long. Here are some things I am reminding myself of in order to not allow myself to be overwhelmed. 1) Be sure to create margins in your schedule. Things pop up that need your attention whether you want to give it or not. Things pop up that you want to be able to jump in on and enjoy. If your schedule is too packed ~ the unplanned things in life will send you into a tailspin. Creating what I call “white space” on my calendar also allows time to feed your soul – to do something you love like read a book, paint, write, play. When “white space” is missing from my schedule I get overwhelmed. 2) Realize that you are only one person with the same 24 hours as everyone else. I wrote another piece about this because it is hard to strike a balance but really – You Can Only Do What You Can Do! Trying to do more than what reasonably fits into your life is going to lead to feeling overwhelmed. 3) Say NO to some really good things in pursuit of sanity. This month alone I had to opt out of 2 events I really wanted to go to, a radio interview and an offer to co-host a radio show. I have been known to say, “I want to have and do it all” in a passionate moment but in the real world I have to make some hard choices in order not to set myself up for chaos. He is so much better at knowing exactly where I need to spend my time. Sometimes I get caught up and forget to consult the One who has numbered my days about how I should spend them! I find that if I take just a little time each morning to ask where my focus should be and ask Him to guide my steps life gets a lot smoother. He has designed me to thrive on being busy but He hasn’t designed everyone that way and He doesn’t wanted me overwhelmed or unavailable for the unexpected blessings that come along. This seems to be a theme for me this year. I welcome your thoughts and suggestions!! Saying no more than yes is the key to staying sane these days. I want to say yes to everything. But I can’t do everything well. Other people seem to be able to juggle more than I can. 1) They actually have greater ability to juggle than I do. 2) They do a good job hiding that things are slipping and they are completely stressed out. 1) Be okay with knowing my capacity for “things I can juggle” may be less than someone else’s. 2) Stop comparing myself to others. Comparison is the thief of joy and peace. On Tuesday, I wrote a short blog on my Positively Depressed microblog that hit a nerve with some folks so I thought I’d give a little backstory here. It all started with this picture. I used to roll my eyes when I’d hear people talk about healing their inner child. I was of the school of thought that the past is in the past and needs to stay there. I didn’t think there was any point in going back and revisiting it. I told my counselor as much the first time I met with her. I told her, “I am not interested in rehashing the past. I am ready to move on.” I told her, in the words of Carly Simon, “I haven’t got time for the pain.” She patiently nodded her head. We began with what was going on with me in the present. Much to my dismay, within minutes we were revisiting pain from my childhood and young adult life. UUGH! 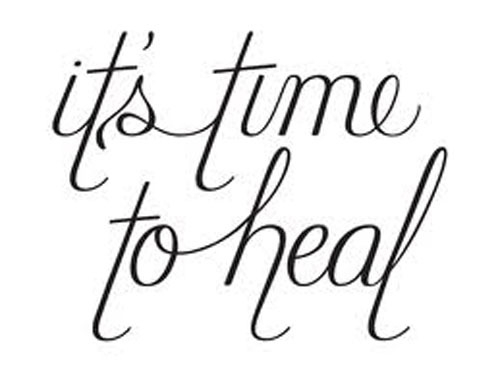 The problem with pain is unless you process it and get healing from it, it doesn’t miraculously go away. The great news is once you do, even though you will still remember it, you will not be held captive by it and it won’t hold you back from blossoming into the fragrant, most beautiful version of yourself. Of course, there is always more work to be done but digging up bitter roots that cause damage is an absolute necessity. After a recent session – I sent my counselor the above picture. I thought she’d enjoy it since it went along with some of the things we had just talked about. 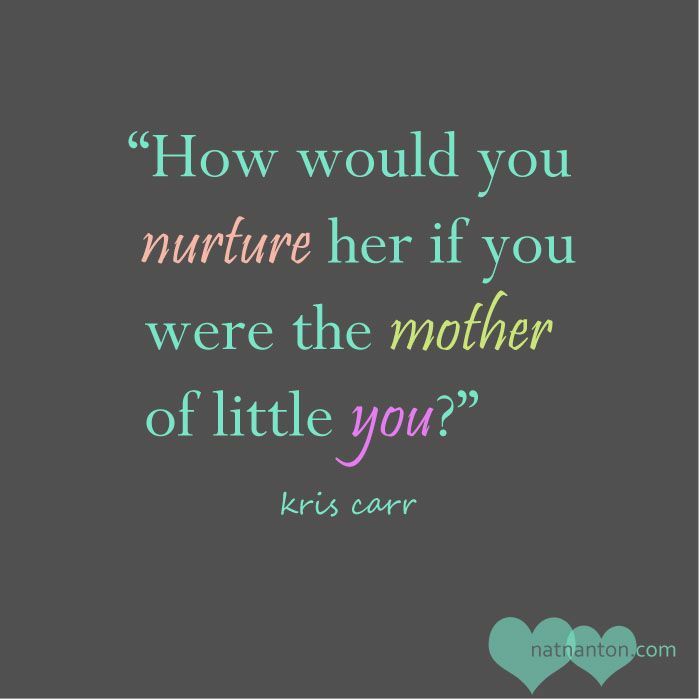 I didn’t expect her to ask me to actually write out how I would nurture my little self! Yikes. It took me a good long while to be able to articulate some of the things I needed to hear. This is a summary of what I wrote. That I love her just for being her spacey, disorganized self. That I love her – imperfections and all. That she doesn’t have to try to fix everything. That when she makes mistakes, I will be there to help her work through them. That it’s ok to not feel strong sometimes and when she feels weak, I’ll be there to pick her up. That she doesn’t have to push down her emotions but she can allow herself to feel them in order to process them. – just the way she is. I realized, after reading it back to myself, this is precisely what God says to us in so many words… Knowing it is one thing, but speaking it over yourself and getting it to move from your head to your heart is quite another. Humans do not always speak the truth our heart desperately needs to hear and if we rely on them to, we will be disappointed over and over. For those truths we need to listen to the One who created us. He loved us first, loves us still and always will. Just like Little You needed to hear reassuring words of encouragement and love…Big You does too. If you take the time to write out what your heart needs to hear – I’m willing to bet God has said them all to you. I learned in school that the shortest distance between two points is a straight line. When I travel, that is the route I always like to take. I choose “shortest route” on the map app on my phone. But, in life, God doesn’t always take me that way. Oftentimes, He takes me the long way around. I suppose it should comfort me that I’m not the only one. So, if I understand that correctly, He knew them well enough to know that if they faced the opposition that was inevitable on the shortest route, they would bail. Instead, He took them the long way around. On the way, they developed character, they learned about His timely provision. They acquired the tools they would need for battle. If I am comforted by the fact that I am not alone, it is short lived. I become disturbed once again when I realize that if I had been determined enough from the beginning to handle opposition with resolute determination to persist on the journey NO MATTER WHAT, I may have saved myself a lot of time. Of course, this is just speculation and I know that God in His sovereignty may have still decided to take me the long way around, however, if He gives me a choice in the future, I choose the shortest route from now on. I say, bring it on! I am ready to face the giants. I am ready, knowing that He goes before me, paving the way, protecting me, and picking me up when I fall. Long way or short way…I’m going the distance. How about you? The other day I went to have routine blood work done. They checked the white and red blood cells, cholesterol, amino acids, thyroid and other organ functionality. The good news is she said I am a poster child for heart health and I have the kidneys of a healthy 15 year old who has never had a drink. That is comforting… I guess my occasional glass of red wine is having no adverse effects! As I drove home I thought to myself, too bad there isn’t a blood test to check the shape of our spiritual heart. The intangible heart – the one that houses our spirit, our soul, and our emotions. Usually, we don’t know there is a problem there until symptoms appear. I know depression and anxiety can be solely the result of physical problems but they can also be tied to, or entirely caused by, heart issues. In my case heart issues have led to physical issues. I also think I am genetically predisposed to depression. But I have discovered I have far more heart issues than I ever thought I had. When you stuff down pain it doesn’t go away. Since there is no blood test or barometer to measure the health of your spiritual heart it can only be discovered by introspection (digging deep) and prayer and sometimes you need someone else to help you process all of it. God is ready and willing to uncover underlying issues as soon as we’re ready to face them. Digging deep and facing the hurts and underlying issues takes a lot of courage. No one wants to feel the pain of the symptom of a physical illness, yet they are grateful for it when it turns out to be the indicator of a life-threatening condition that can be treated and cured. Depression hurts (just like the commercial says) but if it turns out to be the indicator of a heart issue, once it is treated it can be healed and cured. I am not making the case that the root of all depression and anxiety are heart issues. But a lot of them are and it’s worth exploring. Jesus came to heal the broken-hearted, to bind up our wounds (spiritual, emotional and physical) and set our hearts free. He suffered so that we could be healed. He was wounded for our afflictions…all of them! 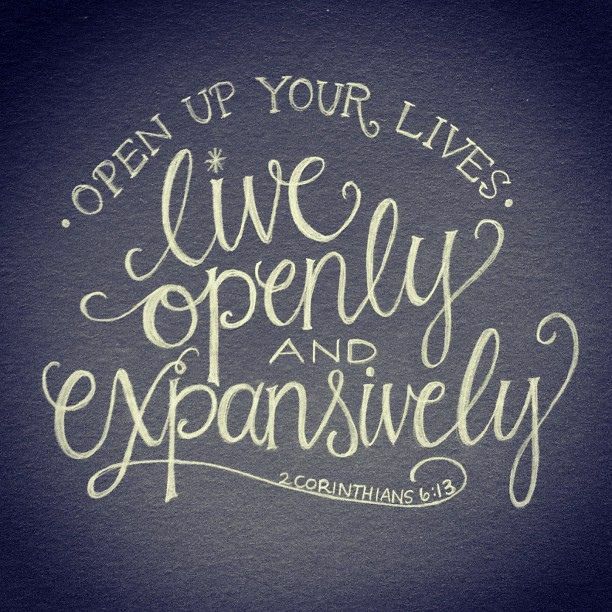 He came that we would have life and not just life…ABUNDANT LIFE. Let’s not settle for anything less. Dig deep, get the heart help you need – you will thank yourself later when you are living the life you were intended to live…in freedom! I could have been reading into it, but the question seemed weightier than a casual “Hey, how are you doing?” This person, who I don’t know very well and have never talked to at any great length, seemed genuinely concerned about me. He was sincere and it was sweet, but it triggered something in me. It made me realize that because I have shared my struggles with depression openly there are going to be people, for whom, it is their first thought when they see me. It’s only natural. If their only frame of reference for me is through my blogs or what I have shared in a talk then it makes perfect sense. But it bothers me. It bothers me that they may not have the whole picture of who I am. I worry that they may define me by my depression. But it only bothers me for a moment because I have come a long way in letting go of what someone thinks of me. If I could completely let go then it wouldn’t bother me at all even for a moment. Life is a series of crossroads. There are forks in the road. Some time ago I came to one where the signpost pointing in one direction had a warning sign next to it that said “Vulnerability Ahead.” The signpost pointing in the other direction had no warning sign, assuring me that it was probably the emotionally safer route to choose. I chose the path laden with vulnerability. As a result, others may form a perception of who I am based on some of the things I share publicly. Vulnerability is the uncomfortable byproduct of being open with your life. I have allowed people a window into what was previously a very private struggle, not to gain pity, but in an effort to help someone else not feel alone. That is my payoff ~ knowing that sharing helps someone else. It’s not really as noble as it may seem. I get something out of it too: a sense of purpose. How about you? Are you afraid that by sharing part of yourself, others will look at you differently? In the big picture, does it matter? Last night I cleared my inbox for the first time in 4 months. I wanted to start the New Year fresh and it felt so good. One of my resolutions is to be a better steward of my time. Our theme this year at FTGI is “It’s Time!” and I know that there is no way I am going to fulfill my plans and goals for the year if I keep mismanaging my time. Yesterday I heard this quote twice. Nothing will change if you change nothing. So, I am going to make some changes. One of them is getting up a little earlier. I say a little earlier because I have to do this in small steps. You see, I LOVE my sleep. And I need my sleep. 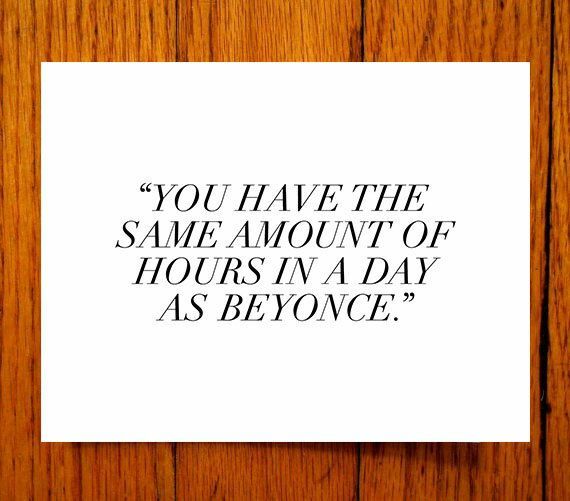 But I also recognize that I could be way more productive if I even got up one hour earlier. Last year when I was overwhelmed with all that I had on my plate, my counselor tried to give me some perspective by saying, “Tracey, God gave you the same amount of hours in a day as everybody else.” She was trying to drive home the point that I need not put pressure on myself to be superhuman. A good point. However, the other day I saw this and laughed out loud! Well, if that doesn’t make you feel like an underachiever, I don’t know what does!! So, the dilemma is how do we balance the time and not fall into the dangerous place of striving too hard or on the other hand miss opportunities that we should be taking? I have decided that this will be a guiding verse for me this year. I am going to begin every morning committing my time and whatever I have to “do” to Him. 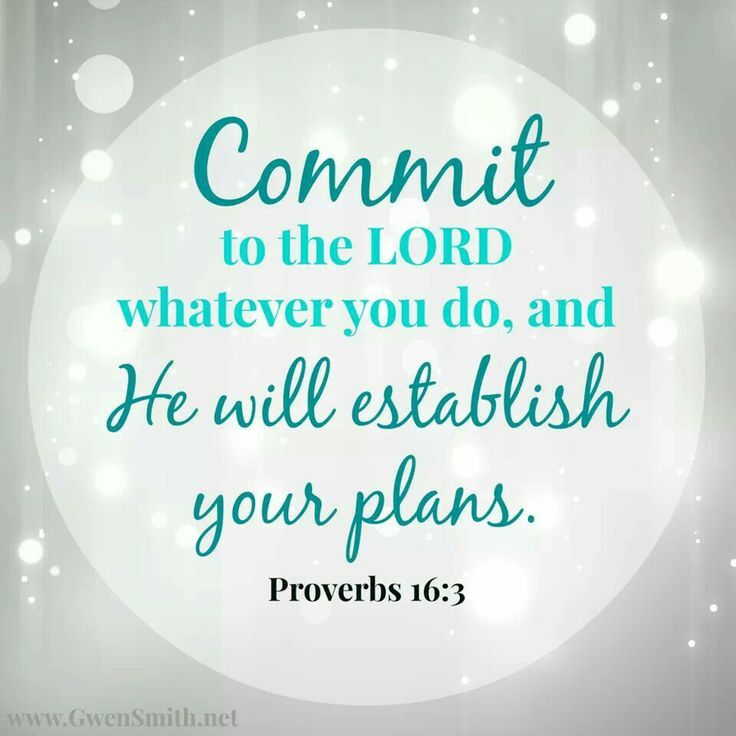 I will trust Him to lead me to the projects, work and leisure that He wants me to spend my time on. More than ever I am at a point in my life where my ambition is just to be right where He wants me to be, doing only what He wants me to be doing. I love for my life to be full, I believe that is how He created me but I don’t want it to be full of meaningless busyness. So this will be a year of committing my time to Him. What about you? How do you balance your time? Do you feel like you make the most of it? Are you intentional about how you use your time? I’d love to hear from you! Here’s to a healthy, joy-filled, fun and intentional 2014! New Year’s Day is a fun day at our house not only because it is the first day of the year but also because it is my daughter’s birthday. This year she turned 16 which was SWEET! This evening we went out to dinner to celebrate her birthday and we went around the table talking about our plans for the year ~ things we wanted to do. 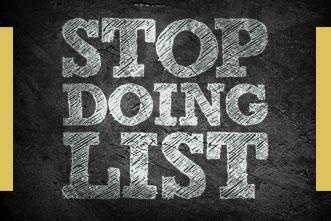 When it came to my husband he said that he was working on 2 lists, one for his personal life and one for his business. He said each list would have 3 things he resolved to start doing and 3 things he resolved to stop doing in 2014. It was the idea of resolving to stop doing some things that got our attention. The rest of us had not thought of things we were going to stop doing but we all agreed it was a great idea. Last year I had made a resolution to write a book. When I made that resolution I intended to finish it by the time the year was over. That didn’t happen. 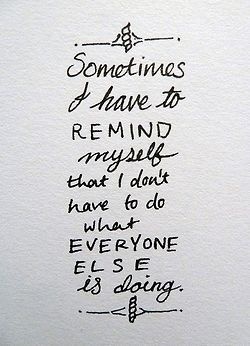 I have spent a lot of time beating myself up about that so that is the first thing that I am going to STOP doing. I am going to stop chastising myself for missing my deadline and wasting time on something I cannot do anything about. Every time I begin to lament about what I didn’t do last year I am going to remind myself that THIS is the year it is meant to be finished. 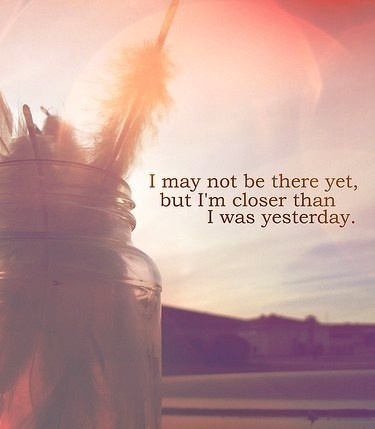 I am going to be glad that I have gotten started and am on my way. 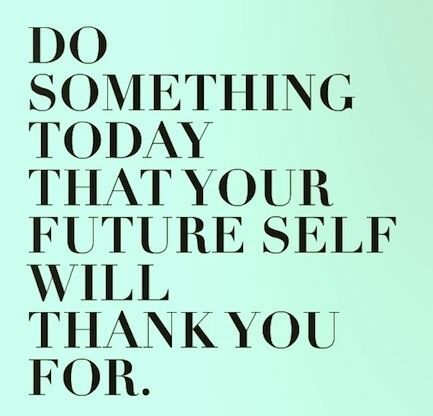 I haven’t had much time to think about it but I am going to work on the 3 things to start and stop doing for both my personal and working life. How about you? Do you incorporate things to STOP doing in your New Year resolutions?